The Taylorville Kiwanis Club heard from one of the new announcers at the Miller Media Group radio stations, during their weekly luncheon Tuesday. Jon Bowen joined the announcing staff in March. Bowen is a native of Greenwood, Indiana near Indianapolis, and graduated with a communications degree from the University of Indianapolis in 2017. Bowen was doing part-time work at a radio group in Indianapolis, when the job in Taylorville came open. This is Bowen’s first full-time job, saying that he felt that radio was the medium he wanted to make a career of. 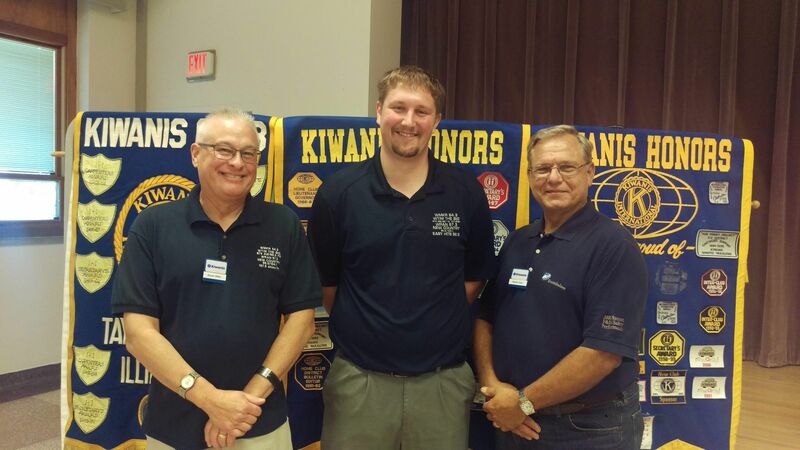 Bowen told the Kiwanis Club, that he enjoys interacting with on-air guests on the NEWSTALK WTIM Morning Show. Bowen added he also enjoys doing sports play by play. Bowen is one of the voices on Taylorville Tornado broadcasts on NEWSTALK WTIM.